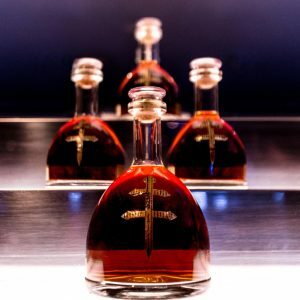 ALTHOUGH IT hasn’t been confirmed what kind of a relationship both D’usse VSOP Cognac and music mogul ‘Jigga’ Jay-Z has, prompting the marketing manager at D’usse Cognac Thabang Mkatini ‘don’t ask’ during interview. One thing though for certain is the brand has been well received in mzansi. At the launch early this year, cream de la crème of celebrities came in droves to experience this beautiful brand and whet their palate. Vixen Khanyi Mbau was the MC and she did bare it all. D’usse VSOP Cognac has been crafted in France’s prestigious Chateau de Cognac, D’usse Cognac blends more than 200 years’ of tradition with the inspiration of a passionate Cellar Master. Win a bottle of this very special D’usse VSOP Cognac for festive. The result is uniquely powerful cognac that begins with distinguished intensity and finishes pleasantly smooth & balanced. What set apart this brand from its competitors: It’s emblazoned with the iconic Cross of Lorraine, a long standing French symbol of courage, honour and perseverance & iconic bottle that will stand out on a shelf or back bar. Best serve D’usse Cognac neat and mixes beautifully in a cocktail. It retails for R650 and available at Makro, Norman Good Fellows and Distri Liquors. SLM & D’usse VSOP Cognac are giving away two exclusive bottles in time for Festive Season. *How would you define D’usse VSOP Cognac? *Complete sentence: ‘D’usse VSOP Cognac has been crafted in France’s prestigious…? Send answers, name and contacts to info@sowetolifemag.co.za or Sydney@sowetolifemag.co.za on or before Monday 18 Dec 2017. Ts & Cs do apply.